Yutian County Jinweida Printing & Packaging Machinery Factory of Hebei Province, after a series of semi-auto gluing machines sold in the market, after more than a year of painstaking research and development, recently introduced to the market mainly for packaging and decorating industrial cartons, cartons, trademarks The large corrugated paper cutting machine used for cutting marks is well reflected by users. Jin Weida Printing and Packaging Machinery Factory was established in 2001. It is relatively late for Yutian to have a relatively concentrated post-press equipment manufacturing company. How to stand firm in the competition and achieve steady development in the late start? Jinwei Da's development strategy is to try to avoid the competition of low-grade ordinary products and develop products with high technological content leading in the industry. Shortly after the plant was built, Jin Weida launched a semi-automatic folder gluer that was not yet manufactured in Yutian County. This machine can not only save a lot of manual gluing boxes, improve work efficiency, but also improve product quality, and the products will soon have a market. As an equipment manufacturing company, we will put quality, service, and credibility first. They know that by relying on excellent products and excellent after-sales services, they can steadily expand the market and continue to create the Gold Weida brand. In order to ensure product quality, the company fully implements ISO9001 quality system management, completes various inspection instruments for quality inspection departments, and establishes 2D and 3D CAD workstations. A complete quality assurance system ensures the reliability of Gold Weida's products. The products will soon open up to the market and the sales volume will increase year by year. For several years, various folder-gluers have been sold to the three northeastern provinces and Hebei, Henan, Zhejiang, and Guangdong provinces, and exported to more than a dozen countries and regions such as the Middle East, Southeast Asia, and Russia. Over the past few years, based on the market demand and feedback from users, the Jumbo machine produced by JVC has formed three series: JWD series semi-automatic folder gluer, JWD2700A double-side double-side folder gluer, and JWY pressure-type semi-automatic folder gluer. .
With the continuous expansion of the market for semi-automatic magazines, Goldwell has also organized scientific and technical personnel to develop high-quality large corrugated paper-cutting presses for more than a year. Corrugated paper cutting machines have been manufactured by many companies in recent years. Due to different specifications and configurations, the prices on the market are also different. In the case of a relatively late entry into the market, Jinwei Da, on the one hand, improved product performance through technological improvements, and on the other hand maximized the benefits to users. The maximum paper-transport width of the corrugated paper die-cutting machine developed and produced by Jinwei Da Printing and Packaging Machinery Factory is 1450mm. The machine realizes automation from paper feeding, die cutting to paper receiving, automatic counting, automatic fault display, automatic detection and non-stop sampling mechanism. The use of man-machine interface makes it easy to implement man-machine conversations. It is simpler and more convenient to operate, and has the advantages of large die-cutting pressure, high register accuracy, ease of use, and safety and reliability. According to the technical personnel of the plant who are mainly responsible for the development of this product, the die cutting machine developed by the company has made great improvements in some technical issues compared with the products of most companies. The first is the paper feeding method using lower paper feeding. , You can do continuous paper without stopping operation; Second, use servo motor to automatically reduce the paper conveying speed to ensure that the paper edge is not damaged due to impact. In order to ensure the stable performance of the whole machine, Jinwei Da Printing & Packaging Machinery Factory chose the best domestic or imported products in the key parts of the equipment. For example, the transmission clutch part adopts the imported large pneumatic clutch instead of the traditional electromagnetic clutch device; Adopts bearings imported from Japan; PLC adopts Japanese products and the interface adopts Korean products; and uses high-pressure oil pump to inject oil to reduce equipment wear. After the product was put into the market, it added another new economic growth point to Kingway. The Plastic Water Bottle is made of kinds of plastics, such as Tritan, PS, PC, etc. 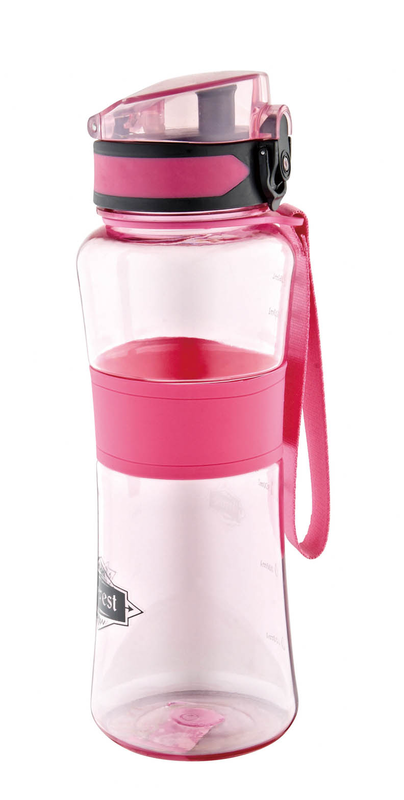 Plastic Water Bottle is light-weight, easy to carry and unbreakable features. Also, if you look for the cheap water bottles, plastic water bottles are good choice. It has a very high daily production, about 20000pcs per day. Also, we have a lot of sizes options for you.